Got a hangover? These are the best damn cures in DC. Win extra points for eating this beast in someone else’s underwear. This brick of a burrito is stuffed with sirloin steak, scrambled eggs, hash browns, cheddar, and green chile -- a multi-pronged attack in a convenient tortilla delivery system. 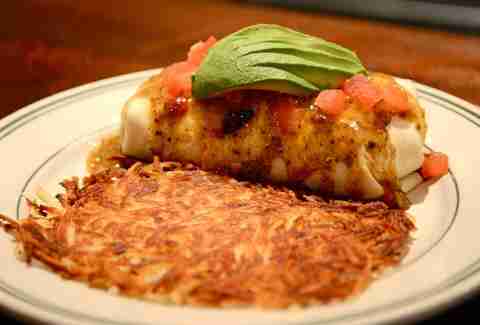 Oh, and the hash brown-latke hybrid that it comes with doesn't hurt, either. Thanks to the jolt of caffeine, The Morning After at District Commons has the power to produce memories -- like the fact that you asked your favorite pizza place for a slice of pie and a pack of condoms, or that you asked your cabbie to take you to Narnia instead of Northwest. 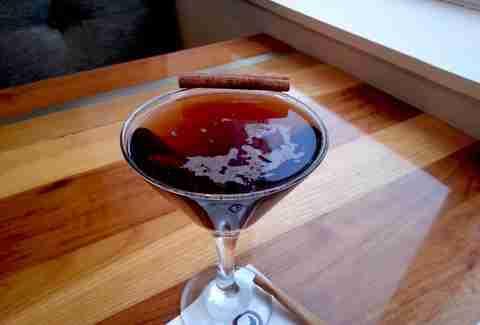 So think hard about last night while you down Corsair Vanilla Bean Vodka, Leopold’s French press coffee liqueur & chilled espresso. 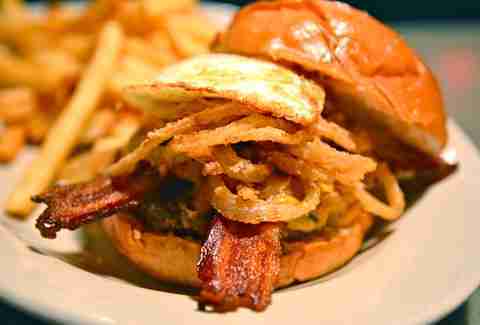 You’re about to take your first bite of Austin Grill’s Hangover Burger, when it happens. A stranger sits down at your table, looking all clean and showered and wait -- they know your name?! A quick phone search shows a marathon Tinder session is to blame. Looks like you’ll be sharing that patty topped with Texas chili, applewood-smoked bacon, fried onion straws, roasted jalapeños, chile con queso, y un fried egg. 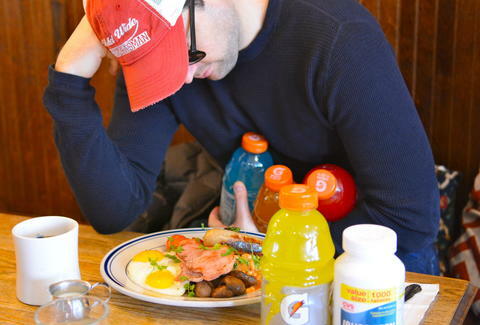 Sure, you could sweat out a hangover at the gym. 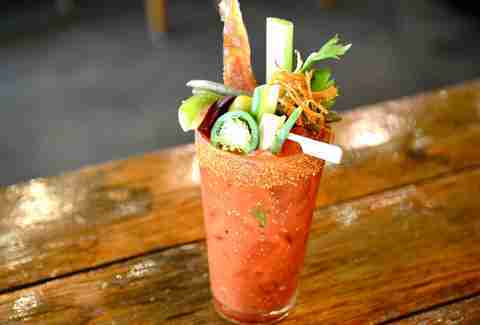 But it's much more fun to sweat it out via this super spicy Bloody made (opt for their chili-infused tequila to make it a Maria) with more horseradish than a Seder. Logan makes its own mix and has every savory additive you could ever want on hand for customizing purposes, if you have enough energy. As a country, England has been drinking, like, much longer than we have, so it isn't surprising that they nail the whole recovery thing. Duke's rendition of the classic brekkie (Britishisms!) 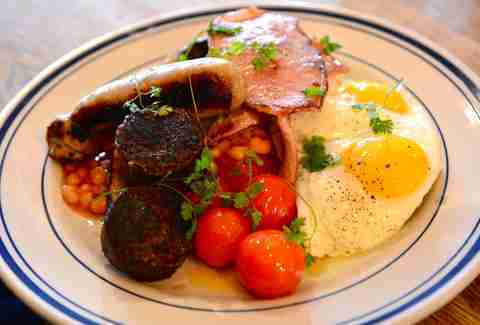 has egg, rashers, banger sausage, black pudding, beans, roasted tomato, braised mushrooms, and toast. Don't skip that blood sausage because it’ll up your iron count and have you feeling better in no time. 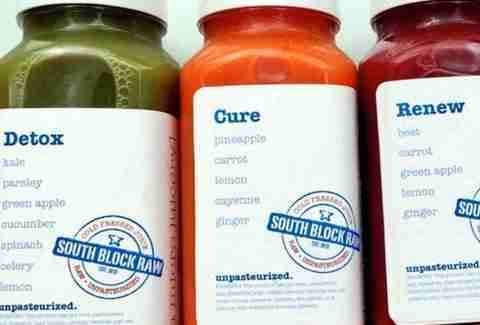 For those mornings when you can actually hear people blinking, there’s Chris’s Hangover Cure, which combines vodka with South Block’s cold-pressed cure -- a juice blend with carrot, pineapple, ginger, lemon, turmeric, and cayenne. You can trust Chris because he was on The Bachelor and that show’s basically one giant hangover. 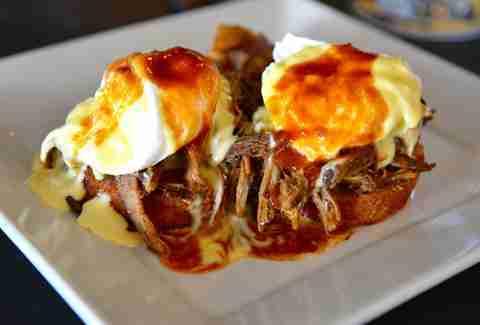 When you're paying the high cost of low living, this Southern-leaning benedict concoction is waiting for you with open arms and BBQ hollandaise. It's only available on Saturdays and Sundays, which should TOTALLY deter you from weekday drinking. Sure, Toki Underground and Daikaya are fantastic and all, but you’ll have to wait in line. NOT AN OPTION said the pack of evil Leprechauns playing bocce ball (they're culturally enlightened) in your abdomen. 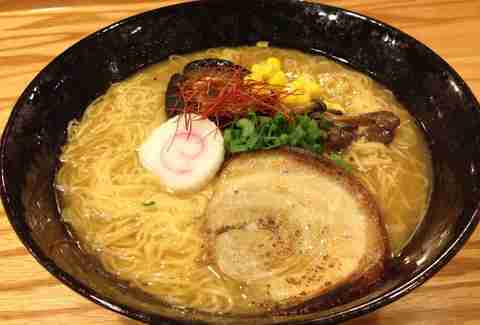 So head instead to Sakuramen and get the ultra-comforting DC Miso Ramen with chashu, menma, green onion, cheese, naruto, and nori. Mi-so hungover jokes discouraged, but probably inevitable. Sometimes you just need carbs and fried things. This is one of those times. City Tap House’s take on the Southern classic is taken to the next level with honey thyme butter, coffee stout syrup, and red pepper jam. You aren't really in the mindset to actively appreciate all that fanciness, but subconsciously your taste buds will appreciate it. If some hair of the dog would help, they’ll whip up a salt-rimmed Greyhound, too. So Chris had nothing to do with this one, but that doesn't mean it won't help. The healing power of the egg cannot be overstated. No really, eggs contain large amounts of cysteine, the substance that breaks down the hangover-causing toxin acetaldehyde. Boom, science! 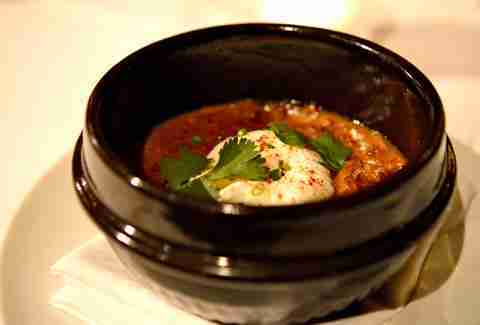 Obliterate that acetaldehyde with The Source’s comforting crock of Chinese braised short ribs topped with a 63-degree egg. It’s available during Saturday Dim Sum Brunch. The waffle. 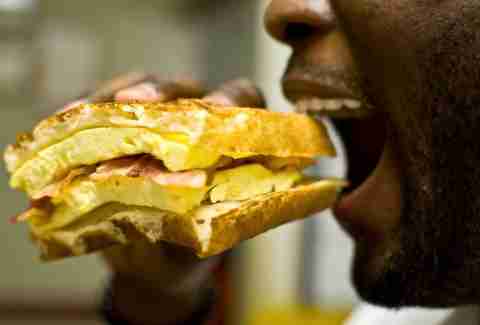 The bacon, egg & cheese. They’re both hangover heroes in their own right. 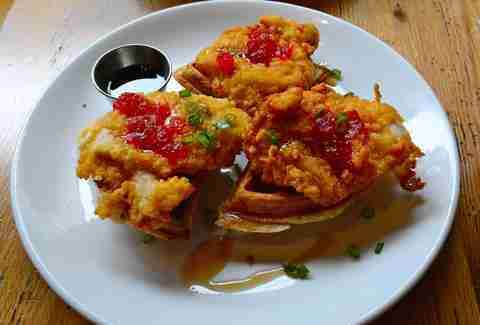 But when combined, say at Wicked Waffle, they’ll have you off the couch and training for that triathlon in no time. At the very least, you’ll be able to re-enter society and hit up Whole Foods.